The first report came in about a week ago. First seen over by the boat ramp at the camp grounds a California Gull was sighted mixed in with a group of Herring and Ring-billed Gulls. Their description was dead on accurate, however I was a little apprehensive. This is a pretty rare bird, especially around here. On occasion they do see a few up on Lake Erie and it’s one of those birds that I never thought for a million years I’d see till I ventured further out west were they are just another common gull. A couple days would go by without a word of it being re-located. Then someone report either on Facebook or Cincinnati Bird that it was re-located. Now I’m starting to get the twitch again, just like the Glaucous Gull in Dayton earlier in the year. So this prompted me to head out this last Wednesday and try to locate the Gull. So for the next several hours I drove all around the lake stopping where I’ve seen Gulls congregate in the past. No luck. Now just because I never saw it doesn’t necessarily mean it’s not there. So I kept my nose to the social media and waited for any news. 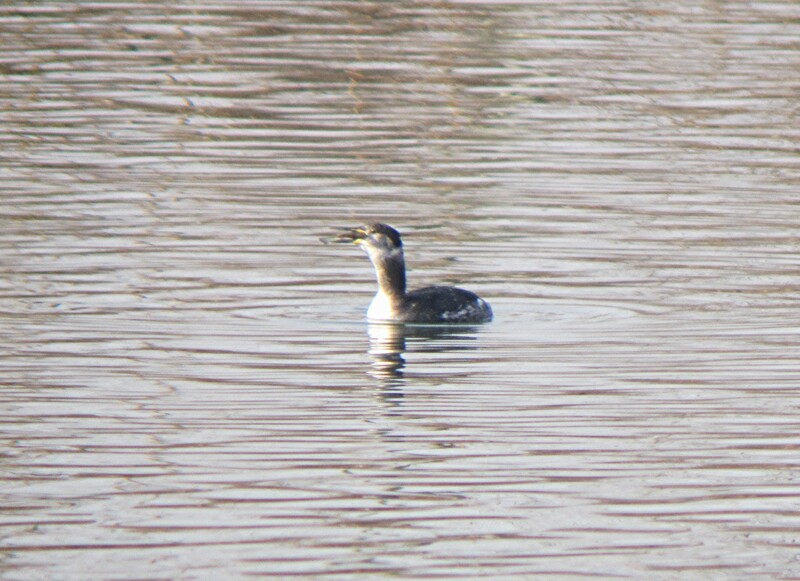 A bird like this is a great temptation for area birders. 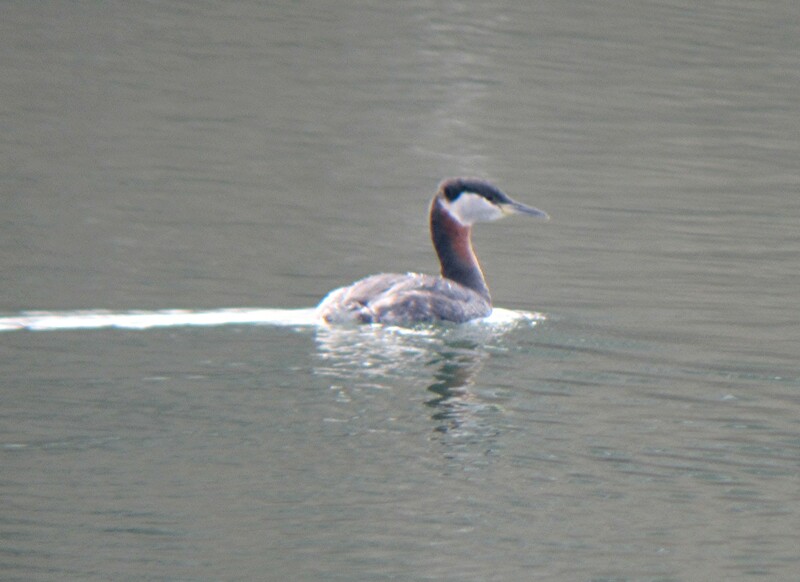 Remember this is a really rare bird and a chance to tick one of these off comes around only a few times. So this morning on Facebook a local birder whose name I recognized re-located the bird. This time off the end of Harveysburg Road. This was one stop I didn’t make on Wednesday thinking that I’ve never seen large groups of Gulls resting there before. However with the lake level low there was an above average amount of exposed ground that you’d never normally see when the water level is at pool depth. 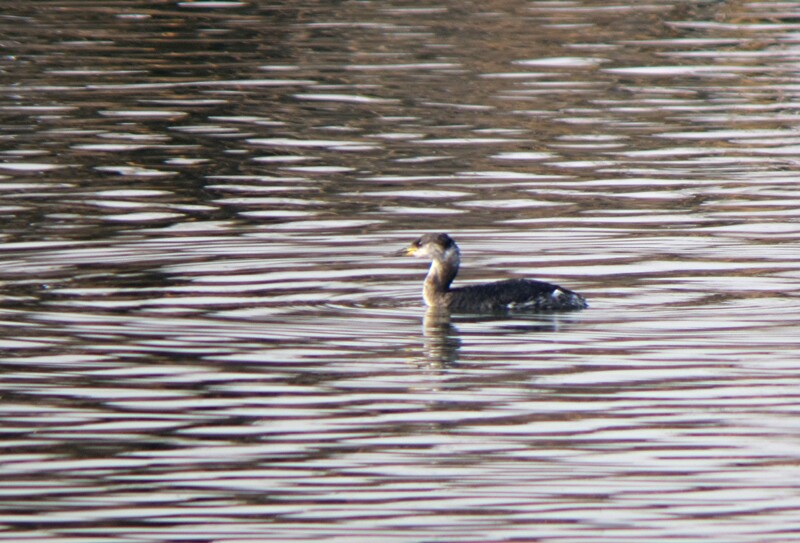 And what do you think I found sitting with a large group of Ring-billed, Herring, and Bonaparte Gull’s. Yes that’s right, the lone California Gull. Smaller than a Herring and larger than a Ring-billed Gull, the field markings were seen even when I had to zoom out my scope to maximum. The wind was out of the west and rather brisk, so I moved behind a Cedar Tree in an attempt to digiscope a picture. After re-focusing on the bird, it flew off and rounded a corner and out of sight. I’m extremely happy about getting a new life bird, but rather disappointed in not being able to get a photo. That’s been the buzz on social media, no picture of this bird. However when dealing with nature you can’t always rely on ideal circumstances. Sure I wish the sun was out and it wasn’t so windy. The Gull flock being a little closer would have been an immense help. But we have to play the hand that was dealt, and this was the best I can do till someone gets a good photo. Maybe this weekend will someone’s lucky day. What is it about the evening sunset, especially after daylight savings time goes into effect, that I simply love? Granted we all hate losing that one precious hour of sleep that us working folks desperately need. 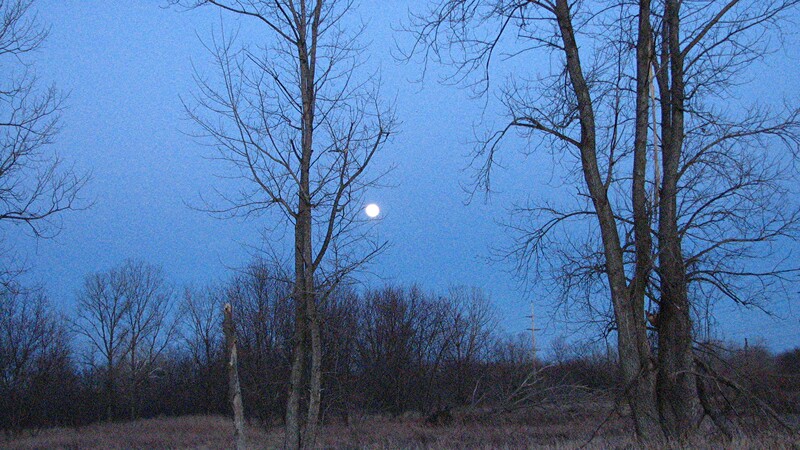 However for myself that’s a small price to pay to be able to do a little birding during this favorite time of day. Dusk is my wind down time during the warmer months. The time when you can sit on your front porch, sip a nice beverage, and do nothing other than watch the world go to sleep. It’s a great de-stresser, and at times a perfect excuse to go birding. Such was the case last night. American Woodcock (Scolopax minor) are starting to be seen more and more on local sighting logs. And my favorite time to view these secretive waders is also my favorite time of day, dusk. So as the 7 o’clock hour approached I headed out to where myself and birding friend Phil were rewarded last year with several displaying Woodcocks, Gilmore Ponds. 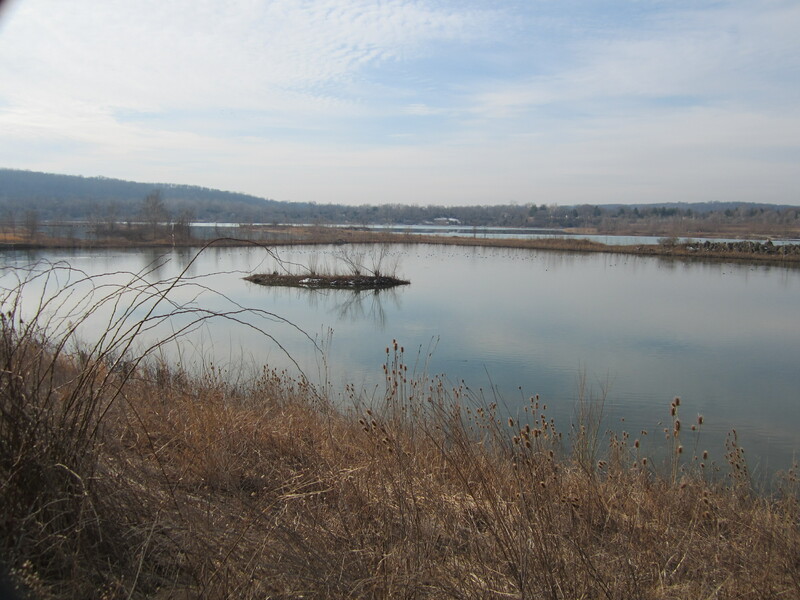 Gilmore Ponds, once closed due to budget constraints, was finally re-opened after the passing of the Butler County Parks levy a few years past, is still a neglected red-headed step-child. Paths were still mowed through the thick under growth, and that was pretty much it. So seeing a Park Ranger actually at the park last evening came as a surprise. And as I ventured towards the area where Woodcocks were present last year, most of the area was mowed down to just a short stubble. You can see the worn path, and on both sides you can see how short the vegetation is. This is where last year we found several Woodcocks. But being a somewhat neglected park it comes as a surprise that they took the time to mow. Being grown over doesn’t mean that it’s a bad thing. At times leaving such areas in it’s natural state can be a benefit for us bird lovers. Great Blue Heron’s nest here. Grackles, Starlings, Red-winged and Rusty Black Birds congregate here at dusk and form into massive colonies for us birders to pick through in the fading light. Sitting in a natural low spot water it’s one common component to this park. 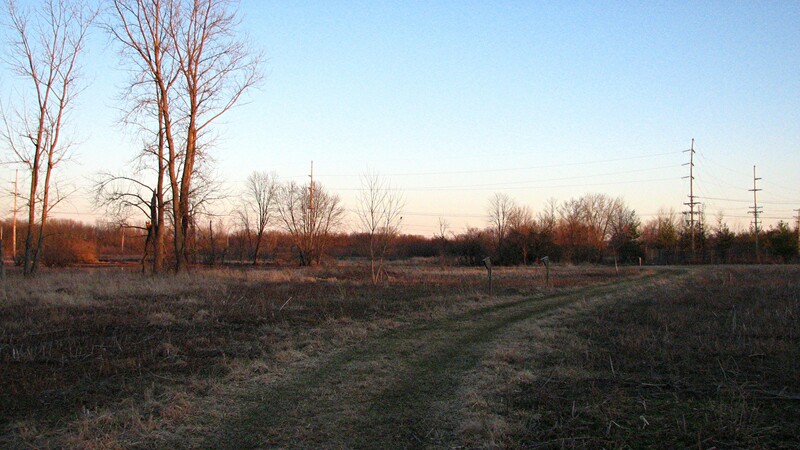 The builders of the Miami-Erie Canal thought so as the remnants of this once great waterway borders Gilmore Ponds. Waterfowl are the staple here and any standing water will hold ducks and geese even through some of our dryer times. 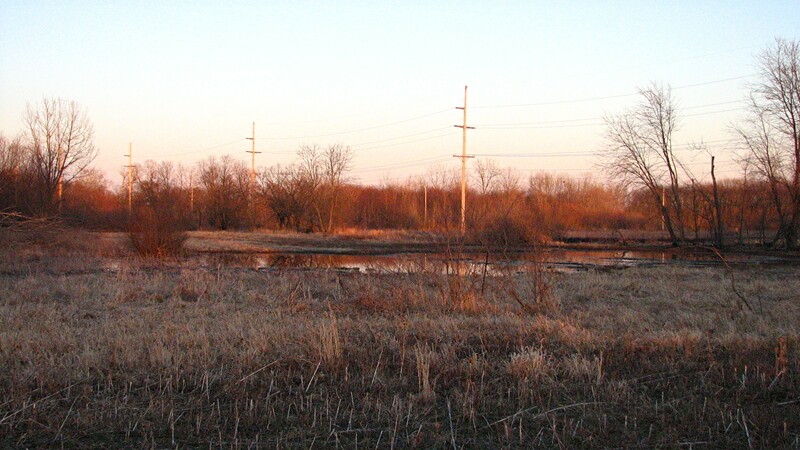 A large expanse of flooded woods is the home of nesting Prothonotary Warblers and Woodpeckers. But tonight it’s all about the Woodcock. So staying within eye shot of my car I wait and wander slightly as dusk fades. A dozen ducks scattered as I approached this small pond. 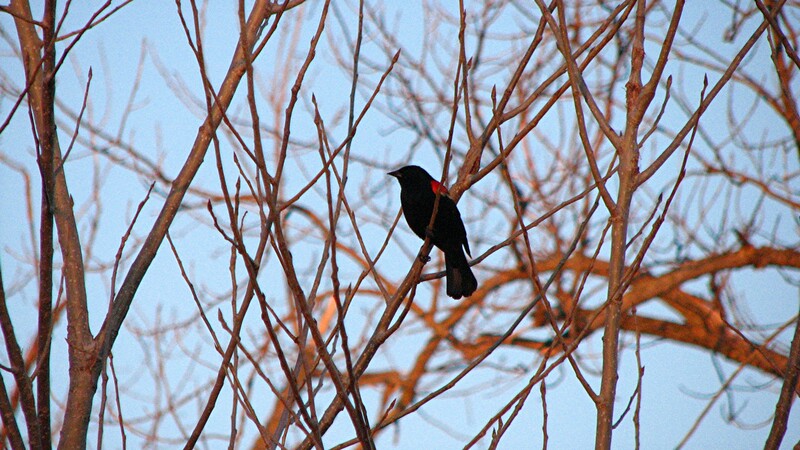 A lone Red-winged Black Bird amongst the thousand roosting at Gilmore Ponds last night. Despite it’s close proximity to busy roads and a train tracks, Gilmore Ponds can envelope you in solitude. I feel isolated, removed from the everyday as I stand and watch a flight of Sandhill Cranes fly so high you’ll have to strain to see them with the naked eye. Geese and Ducks are checking in as they check their wings as they skim over the water to land for the night. More and more Black Birds congregate, squawking over everyone else. I listen hard for the familiar Woodcock nasal “beezp”. Nothing. Am I disappointed? How could you be disappointed when your surrounded with beauty. You can view the beauty of nature from your comfy chair looking out through your picture window or in front of the television set. But to go out at this time of day and just stand and listen and observe what’s happening around you is truly joyous. First we had the Snowy Owl invasion. Then for a short period we had what I thought was an over abundence of Snow Buntings. 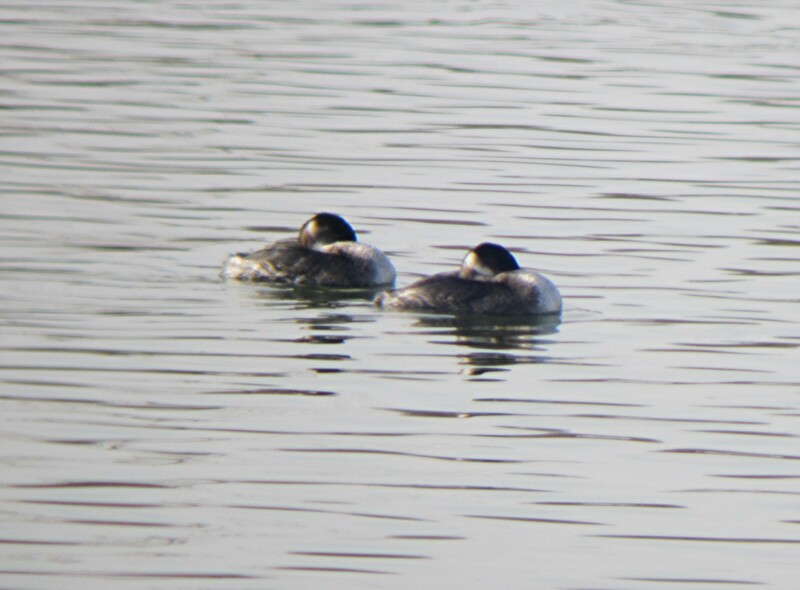 And just recently we have the White-winged Scoter phenominon. So now which bird is the new attraction all over the State of Ohio? 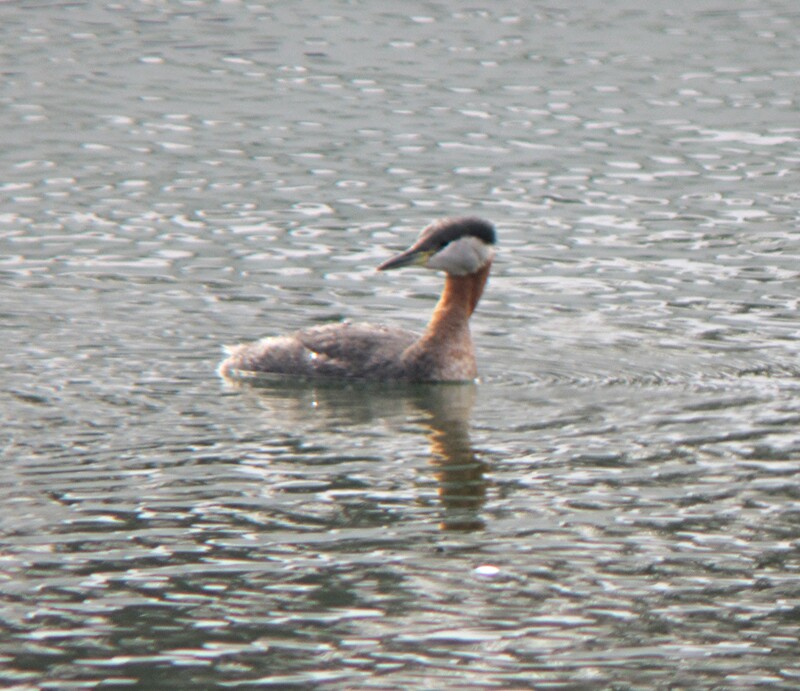 Well it’s the Red-necked Grebe. And from all the chat on social media you can pretty much find them anywhere you have a large body of water. From East Fork State Park, the reservoir at the Cincinnati Water Works at California, on the river at Armleder, the gravel pits in Ross, to the Ohio River. Not knowing how long they’ll be around so the sooner you get out into the field the better. For myself maybe one day this weekend.